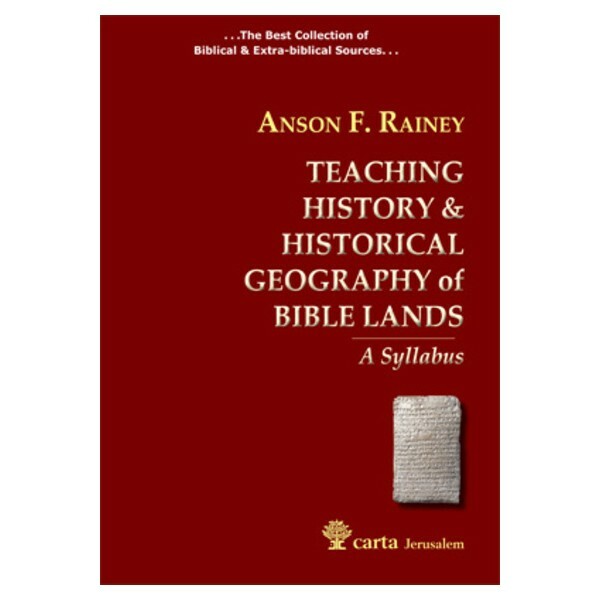 A Syllabus – "...the best collection of biblical and extra-biblical sources..." Teaching History and Historical Geography of Bible Lands outlines a path to understanding the Bible. These lectures are a tour de force in the discipline of historical geography and Rainey is the acknowledged master of this discipline. 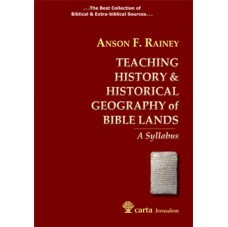 Teaching History and Historical Geography of Bible Lands outlines a path to understanding the Bible. These lectures are a tour de force in the discipline of historical geography and Rainey is the acknowledged master of this discipline. It should be required reading for all scholars and students who wish to understand the history and culture of ancient Israel. Rainey’s syllabus provides the best collection of biblical and extra-biblical sources for all those for whom Holy Scripture has special significance and who wish to gain a deeper understanding of the biblical narrative. Rainey is a linguist, an historian, a geographer, and a field archaeologist, but most of all he is a master teacher who is able to weave information from these various fields into a whole that makes cognizant sense out of the world of the Bible.